Data Deluge: In resolution we trust. 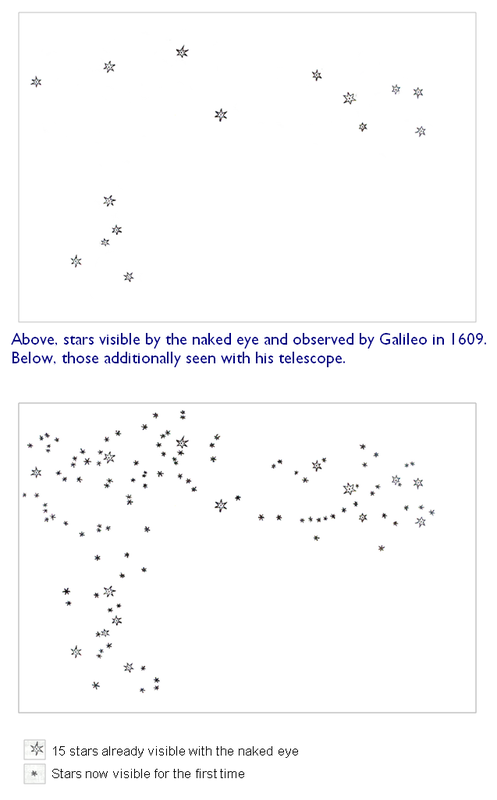 In 1609 Galileo made 3 inventions that extended human visual resolution of fine detail. In June or July he made his first three-powered spyglass, by August he had made an eight-powered instrument and by November he had made a twenty-powered instrument. 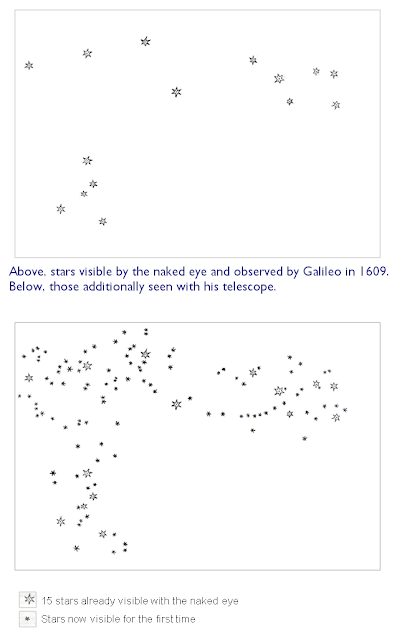 Galileo then used these instruments to observe the surface details of our Moon, discover the satellites of Jupiter and resolve individual stars from what had previously been fuzzy and indistinct nebular patches. By March 1610 Galileo had published this material including careful observations of the movement of the Moons of Jupiter. This book Sidereus Nuncius was perhaps the worlds first distinctive scientific data set. In 1610, Galileo then turned his telescope to work at close ranges, by 1623 or 1624 he had perfected a compound microscope. In Siderius Nuncius he presented the stars that had been visible to the naked eye and those now resolvable using his telescope. The image belows shows the difference.